Home Browser How to Start Private Browsing Session in Google Chrome? Here is the simple tutorial which explain – Private Browsing Session in Google Chrome. The fact cannot be denied that we all need some privacy in everything we do whether it is about watching a movie or browsing an internet. The reason behind this is that we all require our possessions to remain concealed so that we feel a sense of security and development. Now, let’s come to the question whether is there any browser that provides safe and secure surfing over web without any threat of stealing or following your path or not. Yes! Google Chrome is the only hailed answer for this question. Google Chrome is the fastest growing, the most functional and reliable browser, which is design to integrate all the technological requirements for any web-based execution. Google Chrome is easy to launch and provides different features for web surfing. It is designed with customizable nature, which means that the user with personal intent can alter the very functions of this browser on different levels. Its most reliable and advantageous features include one-click based RSS feeds submission, high speed integrity with your Ethernet, translations with minimization tools, and the most developed and ever developing modes of themes. Google Chrome also offers one of the advance functions to surf in a private session. This modern browser is designed on the principle to keep all chat, exchange of documents, and other important terms with reference to private browsing. With just one click or by pressing shortcut keys, your new and secure session would be started, which would offer you secure browsing. Thus, on the other hand, it will also allow your existing session remain as it was in the same function. All cookies and other stored history will remain the same and no steps of surfing can be found. As a special serial killer usually do in some action films!it also does not mean that your tracking will now remain suspended but still by some law enforcing agencies you would be traced easily. The best part is that everything will remain separate from the original list of main sessions like in private mode. However, keep in mind that all download lists, , passwords, other temporary files, and caches will not be saved. Having such a browser in your computer can be quite beneficial in many ways. For example, you are in a relation and need to set up a separate discussion where you can easily communicate your feelings online. For such a situation, private browsing in Google Chrome can be considered the best source to avail. Chrome private browsing also reduces the tension related to documents’ theft and offers the transfer of other important terms in a well secure way. 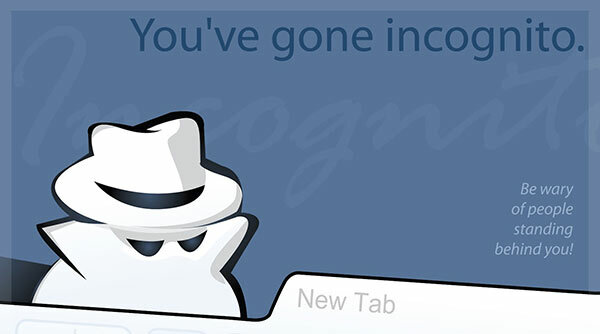 Select the option ‘New incognito window’. After opening a new session of window, click the picture button to start new private window. Apart from following the entire procedure to open the private browsing window, you can also use keyboard shortcut for the same purpose. The keyboard shortcut, which you will have to use in this case, is Ctrl+ Shift+ N.
Private browsing does not mean that no history will be stored. Keep in mind that all your session can be traced online and to avoid this, you have to focus on ‘Google web history tracking’ option. Next: How to use Registry Setup with Regedit?